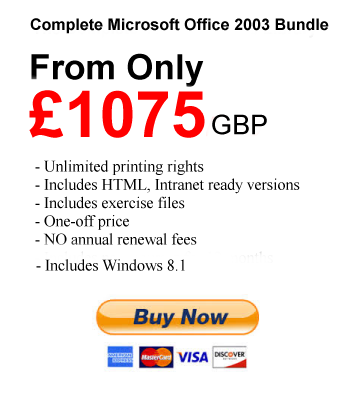 Get the right to use all the Office 2003 training courses on this page at your training centre. One-off fee with no annual renewal fees. 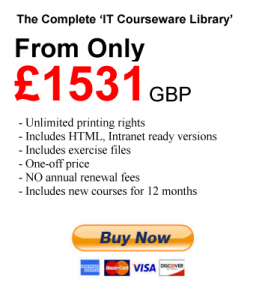 Get all new computer courses released as part of the ‘IT Courseware Library’ for the next 12 months. One-off fee, with no annual renewal fees necessary to continue using the materials.